In my family photo albums are a photo and a painting. I am trying to identify who they might be. The painting could be my great grandfather (b. 1842 d. 1900). He was in the Royal Horse Guards (Blues). He was a captain though and I'm not sure he would have been standing as a sentry. It might just be a random solider. The photograph could be my great grandmother's brother (b 1851 d. 1891). He was a Captain in the 5th Dragoon Guards. TIA for any help you might be able to provide! 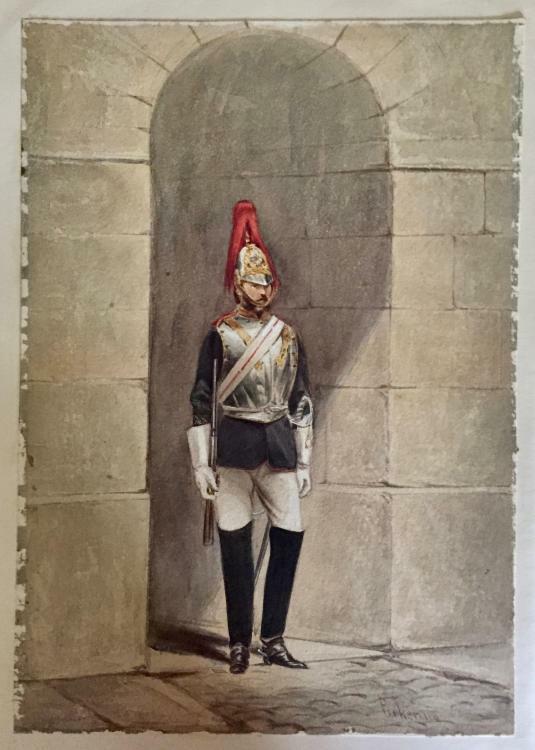 The Royal Horse Guards is indeed a sentry and not an officer. No chance of it being a portrait of your family member. 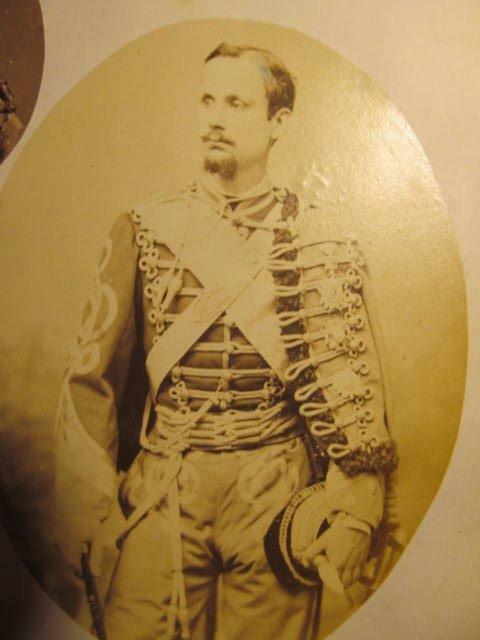 The photograph appears to be a French hussar officer c. 1890. No chance of it being a Dragoon Guards officer. Regarding the Guardsman, the sentry carries what appears to be a Snider carbine used between 1866 and 1871 in Home Regiments and until 1901 in India .